Eliminate all the hassles of moving in New Jersey by opting for our Optimum Moving service! We will always help you pack and move in a systematic manner so thatyou can expect a smooth move. We are capable of handling both small and large scale moves in and out ofTurnersville. We also provide white glove services with a meticulous approach. Whether you are considering a commercial or a residential move, Optimum Moving can serve all your needs at the most competitive rates. Located within the Washington Township of Gloucester County, Turnersville is an unincorporated community named after the Turner family, who were one of the original families of the township.With a total area of less than 1.5 square miles, Turnersville exudes a unique sense of coziness unlike other communities in the state. 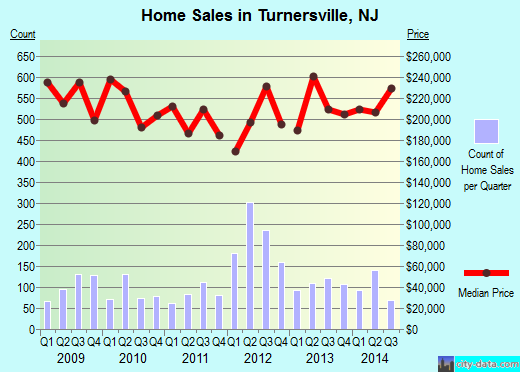 An average property in Turnersville costs about $257,863, and the houses here generally have three to four bedrooms. It is estimated that more than 77% of Turnersville’s3,742 residents opt to live in the same house for at least a period of five years. The property owners live in their houses or condos for an average period of 19 years, while the individuals who rent property stay here for less than two years on average. At Optimum Moving, we make sure that the move is carried out in the most secure manner. We have the necessary expertise in providing quality residential moving services, commercial moving services, long distance moving services, and more. With the help of our specialized moving equipment, you can be rest assured about safe transportation of your belongings. What’s more, we are also recognized and certified by the State Department of Transportation. Try out our NJ moving services today and allow us to assist you in making a successful move in Turnersville! Want to learn more about a Turnersville Move?